How Do I Use the Parent Portal? The Parent Portal can be accessed via a web browser or with the free PowerSchool for Parents App. 2) When you first enrolled your child(ren) in Franklin Academy, you should have received a letter with your Access ID and Access Password. These two items allow you to create your Parent Portal login. If you do not have your access information, please contact the school. 3) The FREE Mobile PowerSchool Parent App can be downloaded from the iTunes App Store and Google Play. Q: I forgot/lost my password. What can I do? A: If you have an existing login to the Parent Portal, you can click the “Having trouble signing in?” link on the login page to reset your password or to recover your username. Q: I haven’t created my Parent Portal account yet. What do I do? A: When you first enrolled your child(ren) in Franklin Academy, you should have received a letter with your Access ID and Access Password. If you do not have them or never received them, please contact the school directly. If you have your Access ID and Access Password, click the “Create Account” button on the Parent Portal login page. On the “Create Parent Account” page, enter your information and create your own username and password. Then complete the “Link Students to Account” section, using the Access ID and Access Password provided by the school. Q: When can I access the PowerSchool Parent Portal? A: The PowerSchool Parent Portal is accessible to registered parents/guardians 24 hours a day, seven days a week. The only exception to this is during scheduled maintenance or during the summer months when access is suspended as we update the student information for the following school year. Q: Who may access the PowerSchool Parent Portal? A: All authorized parents or guardians will receive the Access ID and Access Password. These two items are required to access student data. You may share them with anyone you would like to be able to access the Parent Portal. Q: I have multiple children at Franklin Academy. Can I access all of their information with the same login information? 1) Log into your existing Parent Portal Account. 2) Click on "Account Preferences" in the left navigation. 3) Click on the "Students" tab. 5) Enter the student name, the Access ID, the Access Password and your relationship to this new student. 6) Click the "Submit" button. 7) Repeat steps 4 & 5 for each child you would like to add to your account. Q: Can I access the PowerSchool Parent Portal from anywhere? A: Yes. You can access the PowerSchool Parent Portal from any computer with internet access. You can also access it via the mobile phone app, which can be downloaded from iTunes App store and the Google Play store. Q: Is there a fee or a cost to access the PowerSchool Parent Portal? A: No. 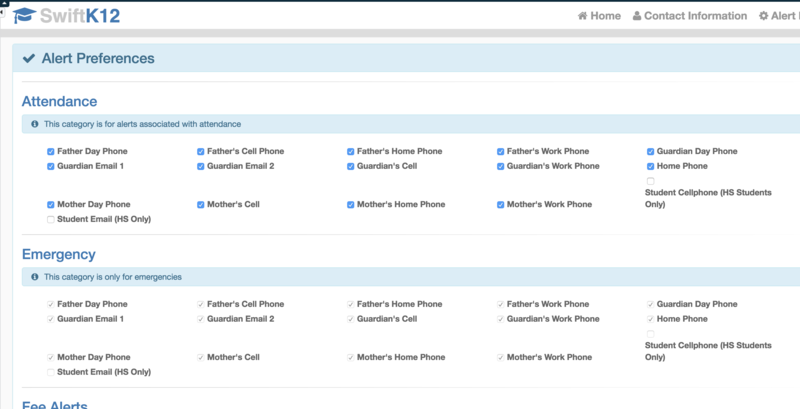 The PowerSchool Parent Portal is a free service offered to Franklin Academy parents/guardians. Q: How can I get help navigating the PowerSchool Parent Portal? 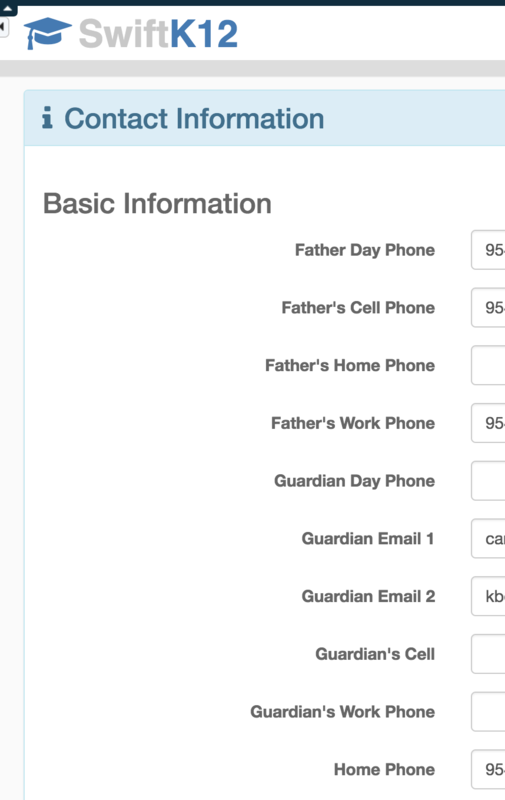 A: There is a HELP link at the top of each Parent Portal page. You can also download the PowerSchool Parent Portal User Guide. Q: I’m getting a “Contact Server Administrator” error when I try to login to the PowerSchool Parent Portal? A: There is a known issue with PowerSchool when you have more than one child enrolled in Franklin Academy and you close the browser without logging out first. When you attempt to log back in, the system generates the “Contact Server Administrator” error. To prevent this from happening in the future, always log out of the PowerSchool Parent Portal before closing your browser’s screen. Once you see this error message, please contact the school and report the problem. There is a process we can run which will resolve the problem in a few hours. It typically takes an overnight process to run before your access can be restored. Q: How do I access the PowerSchool Parent Portal from my iPhone or Android device? A: There is a free app called “PowerSchool for Parents”, which can be downloaded from the Google Play store and the iTunes App store. Q: I’ve installed the iPhone or Android PowerSchool for Parents App, but I cannot find Franklin Academy. What do I do? A: When you first run the PowerSchool for Parents app, you have to configure it for Franklin Academy and then for your child(ren). The Franklin Academy District Code is RHPT. You can also find the code in the lower left-hand corner of the PowerSchool Portal web page. 1) Launch the app and enter the District Code (RHPT). If that does not work, click the "Where is my district code?" link. 2) Do not search for Franklin Academy using the District Name or School Name fields. Instead, enter ps.franklin-academy.org in the “PowerSchool Server Address” field and click the “Submit” button. 3) The District Code will now be populated with asterisks and you can enter your username and password. A: YES. 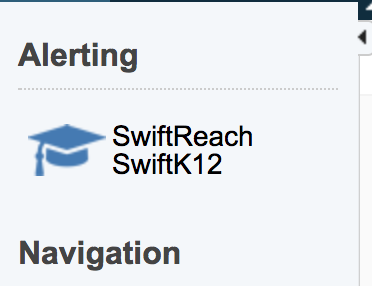 Our Swift K12 notification system is fully integrated with the PowerSchool Parent Portal. *You must be logged into the portal with a PARENT/GUARDIAN account. Student accounts cannot access these settings. Select the “Contact Information” link to update your contact information. Q: Why don't I see the links to things like the online registration form, the lunch payment portal and the service hour page? A: Franklin Academy utilizes both the PS Student Portal and the PS Parent Portal and they look VERY simliar. However, there are some important differences between the two tools. For security and data integrity issues, there are features that are ONLY available to parents/guardians and cannot be accessed via the student login. So, how can you tell which portal you are accessing? In the upper right-hand corner there is a welcome message. If the message displays your child's name, you are logged into the student portal. If the welcome message displays your name (parent), then you are logged into the parent portal. Q: How do I access the breakfast/lunch payment portal from the PS Parent Portal? A: The PowerSchool (PS) Parent Portal provides a direct link to the School Payment Portal, where you can add money to your child's breakfast/lunch account. 3) The School Payment Portal link will take you to the payment processing page. if you have not created an account and linked it to your PS Parent Portal acocunt, you will need to do so. Once you link your two accounts, clicking this link will automatically pass your credentials and take you diretly into the payment portal without requiring you to login again.